Dr. Anderson, a Colorado Springs Eye Doctor, offers complete vision and comprehensive eye exams. Advanced diagnostics are used to evaluate every aspect of your eyes. Have you been diagnosed with a cataract? This is a great opportunity to improve your vision with the help of laser cataract surgery and premium lenses. Thinking about gaining independence from eyeglasses after cataract surgery? Dr. Anderson has extensive experience with the new Symfony presbyopia correcting intraocular lens. 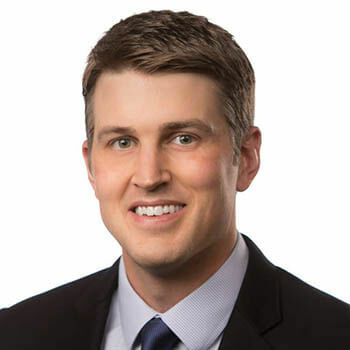 Dr. Erik Anderson MD is an experienced eye doctor and fellowship-trained ophthalmologist based in Colorado Springs, Colorado. Dr. Anderson completed medical school at the University of Illinois followed by ophthalmology residency at Chicago’s Cook County Medical Center, one of the country’s busiest hospitals. In residency, he achieved the 90th percentile on the annual ophthalmology in-service exam and 95th percentile in cornea and cataract surgery volume. In his final year, he was elected Chief Resident by his attendings. 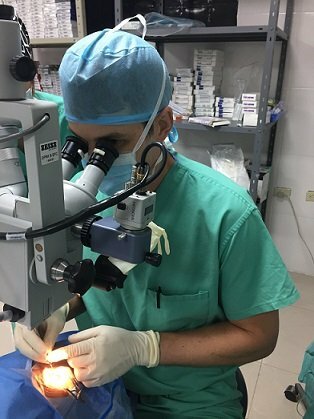 Dr. Anderson then completed a Corneal, Refractive, and External Disease Fellowship at Wake Forest University and made a humanitarian trip to Honduras to provide complex cataract surgical services to the underprivileged local community. Dr. Anderson serves patients in the Greater Colorado Springs area. He has completed thousands of successful surgical procedures using the latest diagnostic and surgical technologies including Refractive Lens Exchange and the Visian ICL for non-LASIK candidates. Dr. Anderson did a fantastic job with my LASIK procedure. I was very pleased with the results. He was thorough, and took time to answer all of my questions to ensure I was well informed on what to expect pre, post and during the procedure. I felt very comfortable with him and trusted that the health of my eyes was his highest priority. I highly recommend, Dr. Anderson, he does great work and is a caring ophthalmologist! Dr. Anderson performed my LASIK surgery in June and I only have positive things to say about the experience. Dr. Anderson was not only professional but also very personable ophthalmologist. The consultation was informative where he went over the procedure and addressed all my questions/concerns. Dr. Anderson vastly improved my quality of life! It is so wonderful to open my eyes in the morning and be able to see clearly! At my first appointment, he took the time to explain the procedure to me and answer all of my questions. Surgery itself was a snap and his follow-up care was excellent. It is obvious that Dr. Anderson truly cares about his patients and their well-being. I had a very pleasant experience with Dr Anderson and staff. My eyes have been bothering me for quite a while and Dr. Anderson had some great ideas on how to improve my dry eyes, which has been my biggest issue with the Colorado climate. Laser cataract surgery has been quite successful. Dr Anderson seems very knowledgeable as does his office manager, Justin. One eye corrected so far with multifocal toric IOL, and vision is substantially improved. I definitely recommend Dr Anderson. I was extremely pleased with both my cataract surgery and the service I received afterwards. I am seeing great and want to thank Dr. Anderson for his excellent patient care and follow-up concern after each surgery. I highly recommend Dr. Anderson!! In addition to a focus on cataract and cornea surgery, Dr. Anderson is an eye doctor that offers comprehensive eye care including vision exams and treatment for glaucoma, macular degeneration, and diabetic eye disease. Dr. Anderson works with most major insurance providers including Medicare and Medicaid (Colorado Health Access). Please contact us and let’s discuss your coverage. Dr. Anderson traveled to Honduras where he was a volunteer ophthalmologist performing cataract and corneal surgery. Honduras has one of highest rates of preventable blindness in the world from cataracts, and corneal scars. Your donation lets the blind see again. We’re their only hope.